Discover Brussels with eventegg.com. Up-to-date information on attractions, restaurants, nightlife, travel tips, blog articles, events, concerts and more. Brussels has got an image as being the center of the international politics in lots of people’s mind and usually nothing more is attributed to this city. However, it only takes a couple of days for this charming city to change this image into an exciting and charming one. Brussels is the crossroad of culture and history that has got a lot to offer the visitors. The capital of Belgium, Brussels has got 19 boroughs and a population of almost 1.1 million people. These 19 differ in terms of the living style, and this eventually cause the city to be a complete synthesis. The most popular of these are Brussels, Marollen and Elsene as they are the most vibrant ones. As the city has an important role in not only Europe’s but also world’s beer industry, it is filled up with a lot of bars and pubs. It is possible to say that these shape up the city’s look other than the major sights to see and historical ruins as well as the buildings. It is hard to say that Brussels is a city that make the visitors fall in love at first sight. That is because the attitude of the city needs deeper understanding that may take a couple of days. Its aura is not based on ultra-classy, worldwide famous buildings and the shiniest scene of night life, or it doesn’t rank the top in Europe’s most livable cities. However this is also the reason why Brussels is one of the cities that has a sharp characteristics that makes it this unique and one of a kind. The capital of Belgium, Brussels is located on Senne Valley, which is on the north of the country. Brussels International Airport is located 11 km northeast of the center and offers a bunch of options to reach the center or vice versa. I would recommend the train, as it is both cheap and runs every 15 minutes. Brussels has also got another airport, Brussels South Charleroi Airport, which usually hosts budget airlines. Brussels is a perfect city to discover on foot, if the weather is nice enough for you. However, the bus and the metro system cover all parts of the city, too. STIB-MIVB is the official transportation service of Brussels. The website has got a detailed map and journey planner. Brussels is going to be holiday both for your soul, and guess what? Of course, for your stomach! Your daily excursions will probably end at a table that is filled up with Belgian classics. Grand Place-Grote Markt is a place where you can see a lot of beautiful Belgian buildings that are more than 300 years old. Personally, I don’t know anyone who came back from Brussels without having a picture in front of the Manneken Pis. It is the unofficial symbol of the city, a small statue and it is thought to be representing the irreverent spirit of Brussels. Of course, the famous Atomium must be in your list of things to see. Basiliek van het Heilig Hart is the fifth biggest church in the entire world and mesmerizes all the visitors. Museum lovers, you are really lucky to be in Brussels! Musées Royaux d'Art et d'Histoire and Musées Royaux des Beaux Arts de Belgique are going to take their place in your favorite museums list. European Parliament Building may also be visited if you’d like to see the Union in a building form. There are two main shopping areas in the city; Rue Neuve and Avenue Louise. Rue Avenue is a long street that is filled up with a lot of shopping malls and stores. Avenue Louise, that may also be called the Champs-Élysées of Brussels on the other hand, is the place where a lot of bohemian and posh boutiques are located. Place du Grand Sablon is the place where you will fill your bag with the famous Belgian chocolate. There are many chocolate stores (some of them are also producing fresh chocolate, right on the place) located on the area. Place du Jeu de Balle is where you should head if you are into flea markets and dig into some second hand Belgian comic books. Don’t forget, you are in the hometown of the comic books and that may be good to have a couple of those to keep. You will eat a lot of mussels, fries and chocolate during your time in Brussels. That is for sure. As dining out is common among locals as well, your choices on where to eat is basically countless. Make sure to stop by at a Frikot, the places where sell fries. Some of the best are located on Place Jourdanplein and Place Saint-Josse. Rue des Bouchers-Beenhouwerstraat is another district that is filled up with restaurants. However, make sure you are not forced to be convinced to take a seat at a particular restaurant. They may be a little too insistent. Night life is a part of Brussels. Although the pubs are abundant in all the parts of the city, the clubs are mostly located on Rue du Marche au Charbon. On the weekends, the clubs Rue des Chartreux and Place St Géry attract people not only in Brussels but also the ones living in nearby European cities. A tour of the city while you are seating on a horse-drawn carriage may take you back to the beginning of the 1900s. This is one of the favorite attractions of the visitors and you may come across many places that has the service in central parts. 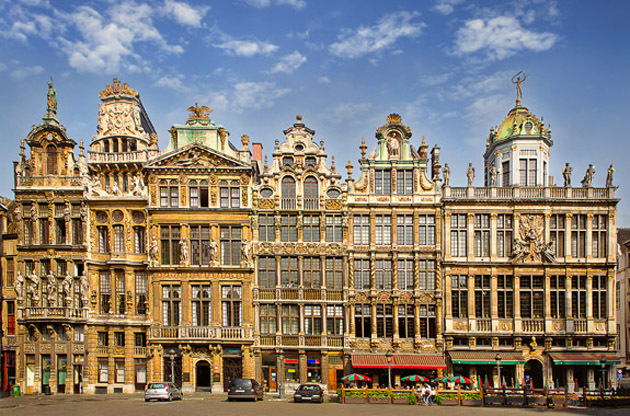 Architectural tours in Brussels are another option if you would like to have a deeper insight about the buildings and their styles of architecture. Trips to other cities such as Antwerp, Leuven or Ghent is not hard at all. Regional trains leave Brussels every day. In addition, if you are nature lover, don’t leave Belgium without going to Ardennes, the natural treasure. The capital of Belgium is a popular destination not only for travel lovers, but also for a lot of people who go there to attend exhibitions, fairs, symposiums, trade shows, congresses and conferences. Every year the city host a great number of event tourists and fascinate them with the natural beauty it has. The expertise of the organizers when combined with the charm of Brussels, the city ends up to be an ideal place for event tourists.